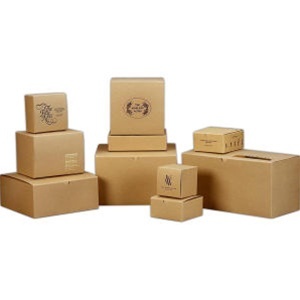 Our 1-piece semi-automatic kraft (brown) gift boxes are made in the USA. This product line is made from 100% recycled materials and contains 80% post consumer materials. Each box has a tuck top lid with a lock bottom and is FDA compliant. Each box has a shadow strip exterior finish with a kraft matte interior. Perfect size for ornaments, mugs, novelties, small trinkets or candy samples. 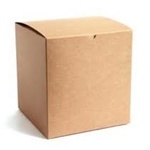 This box can be custom printed or hot stamped with your company information. Low cost opportunity for immediate market exposure of your products and brand. Call or email customer service today to inquire.